Stephanie Bray, currently a first grade teacher at Sunnyside Elementary, was selected through a rigorous process and from among three finalist candidates to be recommended for hire as an interim principal of Franklin Elementary School beginning in July, 2018. The recommendation to appoint Mrs. Bray to the position of Principal at Franklin Elementary School will be considered by the Pullman School District Board of Directors at the June 27, 2018 board meeting. A comprehensive interview process was conducted on June 14th and included a formal interview and presentation to the interview committee, a written exercise, an observation and written feedback of a lesson, a tour of Franklin and an interview with Franklin students, and a staff and community open forum. The comprehensive interview process began at 9 a.m. with four finalist candidates, however one of the candidates asked to be removed from consideration around 2 p.m. in order to accept another position in another district. In view of these unforeseen circumstances, the shrinking pool of candidates, and the need for a principal starting July 1, the interview committee, including current members of the Franklin Elementary staff, recommended that the position become an interim position for one year. 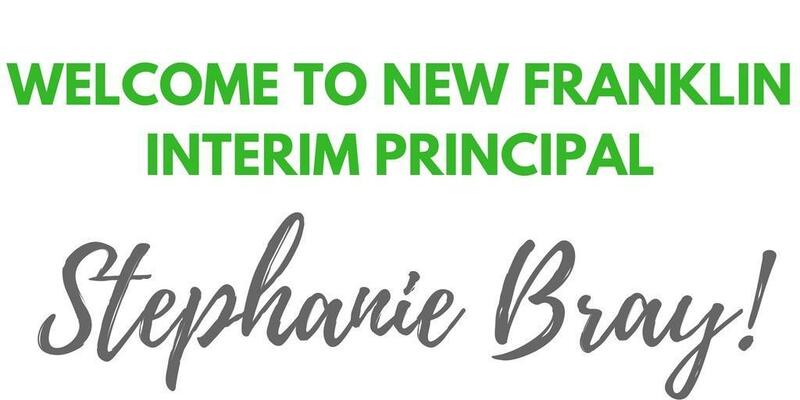 Stephanie Bray emerged as a capable and desirable candidate, and she is familiar with Franklin staff and families as she completed part of her administrative internship under Mr. Holman at Franklin Elementary. The interview committee consisted of administrators, a board member (Allison Munch-Rotolo), 2 district instructional coaches, 4 Franklin staff members, and 2 Franklin parents selected by lottery. Students from Franklin that met with Mrs. Bray noted that “I feel very comfortable around her” and that she “had cool ideas and she wants to keep our traditions”. Mrs. Bray has many years of elementary-level teaching experience and has also served the district as a teacher on special assignment focusing on Curriculum and Assessment. She is a graduate of Idaho State University and holds a Master’s degree in teaching from Eastern Oregon University and Principal Certification from Washington State University. Superintendent Dr. Bob Maxwell said, “Stephanie Bray has extensive elementary experience and is a talented educator and leader. 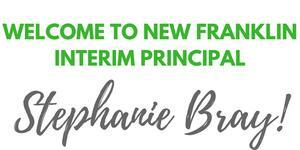 We are thrilled that Stephanie is excited to serve Franklin as their interim principal!” We look forward to welcoming Mrs. Bray at Franklin Elementary School!